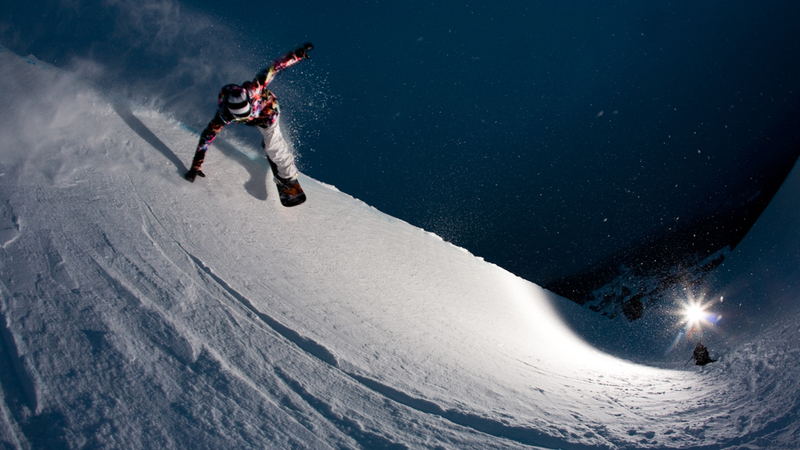 It will be four years ago this New Year’s Eve, that snowboarder, Kevin Pearce, was preparing for the 2010 Winter Olympics and suffered a traumatic brain injury that nearly killed him. Incredibly, Kevin survived the crash and faced a nearly impossible road to recovery. Bound by tireless determination and supported by an amazing circle of family and friends, he worked his way back to complete function. Still, he wouldn’t stop until he could get back on his board, despite potentially fatal consequences. Kevin’s story of a nearly fatal accident, miraculous recovery and dramatic return to the sport he lived and loved, and that nearly killed him, is told in Crash Reel. The film chronicles the rise of Kevin’s snowboarding career, the tragic turn of events with the accident and his painstaking path of rehab. It is an extremely motivating documentary that takes an depth look at the action sports culture and how one of its brightest stars had his life changed forever. How did director Lucy Walker approach you to put the film together? It was pretty cool how it worked out it. It was actually my first trip after my accident, and I was asked to go to this Nike camp It was called "The Better World" and the idea was for all the Nike action sports athletes to go and use our platforms to make the world a better place. Lucy came to show one of her films to try to inspire and teach us. It was Waste Land about the issues in the world with trash and the dumps. Adam (Kevin’s brother) was there with me and we just started talking to her. We showed her some of the early day photos and was telling her about the story. She had heard about it from all the press that came from it after I got hurt. She was totally into the action sports world and everything that we do. So it just worked out pretty cool. Watching the footage of you being airlifted off the mountain following the accident, I was struck by the notion, one moment your boarding and the next thing you know you wake up in the hospital. What would have been going through your mind at that time was something to the effect of ‘this is like a bad movie.’ Is that what it felt like? Yeah it’s crazy because so much of that I don’t remember. From the time of the accident and then the 27 days following I don’t have any memory of anything or what I was thinking. For that time I was on breathing tubes and hooked up to machines, and I don’t remember anything from that. So really, I don’t know where I was at for that time. So fast forward a bit to the time when you did recover from the coma and you were coming back around. What were some of the things going through your mind about your life moving forward? What I first remember is thinking that I need to get back on my snowboard and I need to start training again so I can get ready for the Olympics. That’s what my mindset was like ‘you need to do all these things the doctors say and heal the best you can so you can get back on the board.’ Not realizing how severe of an injury and how badly I was hurt. I really didn’t have any understanding of my abilities and where I was at or what I was going to be able to do. It was a really long, long time till I was able to get it and understand how severe the head injury really was. So where you in denial of sorts? Yeah it wasn’t denial so much, it was more just not knowing. I just didn’t have information. My brain wouldn’t tell me how badly I had hurt it and it’s weird how the brain doesn’t want to do that. If you hurt any other piece of your body, it’s gonna tell you how bad it’s hurt. If you break your leg, you can’t walk. If you hurt your head, your brain’s still gonna let you do things. It’s interesting how it doesn’t just shut down and stop. Do you think in your case, because action sports require a huge amount of fearlessness, that thrillseaker mentality factored into it then? I think that is a huge reason why I was able to be so successful I my sport and get to where I got. And I also believe that’s a huge reason why I’ve been able to be so successful with this recovery and get to where I am today because of that mindset. Before the accident, what was the hardest thing you had to go through in boarding? It was interesting, because it was so fun for me and I loved to do it so much, but those tricks were really hard. Because I loved it so much, it didn’t seem like work to me and it didn’t seem hard to me. I loved it so much, that I was able to put all that work in and all those hours in and all that hard work because I loved it so much. Talking about the movie now, it really transcended just your spirit, and it was a story being knocked down as worse as you possibly can and getting back up. In your case, what is striking is how your family was there for you all along and really helped you get through. It all comes back to the family for me. I’m just so extremely lucky to have had that support and to have them all by my side. I’m still continuing to recover and they’re still by my side as my brain continues to heal. Obviously it’s much different than it was, but I’m still working on things and continuing to get better. I’m still continuing to have that support. (My brother) Adam quit his job and did all the rehab with me. Then I got to live at home in Vermont for a year and a half, and it’s that constant support that my family has given me. Which has been so needed and so helpful, and I feel that’s what so many people aren’t lucky enough to have and experience. At what point did you see the toll of your injury having an affect on the people you love, especially your brother, David? It really took me a long time to come to understanding how it affected David, because he only came to the hospital once. He was doing his own thing back in Vermont, but he somehow knew what had happened to me. It was so hard for him to deal with that stuff and not be out there helping me. It had a real serious, crazy impact on David and it brought us closer because of what it’s done him and how its affected me. He can relate and it’s like we’re almost on the same level. Life is really hard for David (with Down Syndrome). Things that we all take for granted are so hard for David. I can understand that so much more now because of how much harder the little things are for me. From where you at before the accident, describe how your lifestyle changed to where you are post injury? I was able to get to such a high, elite level and be successful in what I was doing in snowboarding. That’s what I’m trying to do now in this new lesson I’m doing now, to figure out how to get back to that elite level and to the top in whatever it is I decide to do. That’s what I’m trying to figure out now and I’ve found that helping and giving back is something that I have a lot of passion for. That’s where this whole Love Your Brain Movement comes into play and giving back to these kids that suffered brain injuries and don’t have the support I do. Just being able to give back to these kids that are suffering and need help, and to support them is super special. Right, and being so focused on snowboarding and competition, was this whole other world of living something that you were awakened to? I was so in it and such a snowboarder, and that’s where I don’t blame myself. I was successful at it and that’s what I loved most. I was so passionate about it and that’s where my mind was. That’s all I had time for, was snowboarding. Now that things have changed and that’s not where I’m at, I have so much time and the ability to be into such much other stuff. Have you got to a place to where you’re going back and supporting your friends as they compete in snowboarding? I am able to go to these events and hang out, supporting them and help them out in any little way possible. I feel that I’m so in debt, if that’s the word, to them because they’ve done so much for me. Given what you’ve gone through, what advice do you give to kids to either avoid injuries or even deal with injuries? My whole thing now is to just have kids go out there and do it. I don’t want to turn kids away in any way. If you go out there, just make sure that you’re smart and have fun. That’s what it was like for me. I was out there and having the best time ever, but I was smart. I always had a helmet on. Make sure you’re doing tricks within your abilities and not trying to push the limit too far, just stepping it up slowly, trick by trick. I think if kids can learn that, they can do it the right way. They can have a ton of fun, but also be safe and smart with it. That’s my message for kids now.